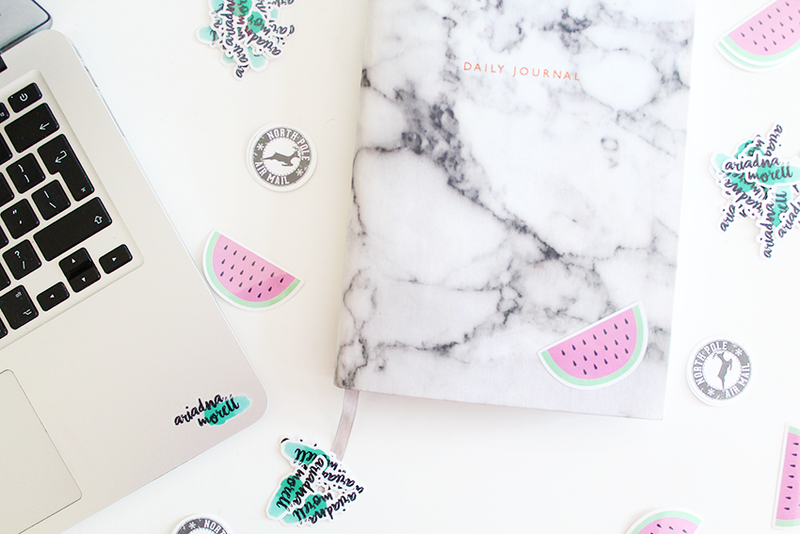 STICKERS TO PERSONALISE EVERYTHING | RAWR BOWS. I am 20 now, so i guess I am a bit too old to get toys for Christmas. However, I’ve found the website equivalent to my childhood dream: Sticker App*. It’s a website that allows you to turn any photo or image into a sticker (or design your own if you're feeling creative) - you can choose the style as well: metallic, matte, shiny, transparent, etc. It is so cool, and it’s perfect to personalise literally anything you want. I got three different stickers and I definitley got way too excited when I got them in the mail - I don’t even get that excited when my ASOS parcels arrive, and that's saying A LOT. First of all, I got a transparent sticker of my name and some arty green watercolour. I designed it using Photoshop and I am so happy with how it turned out! They are rather small, which I think is perfect as it makes it look so cute. I’ve been sticking these everywhere: my laptop, my diary, my bed, my phone cases, etc. I wanted to get one that reminded me of summer, because I love summer and I always have amazing memories from all of my summer holidays. 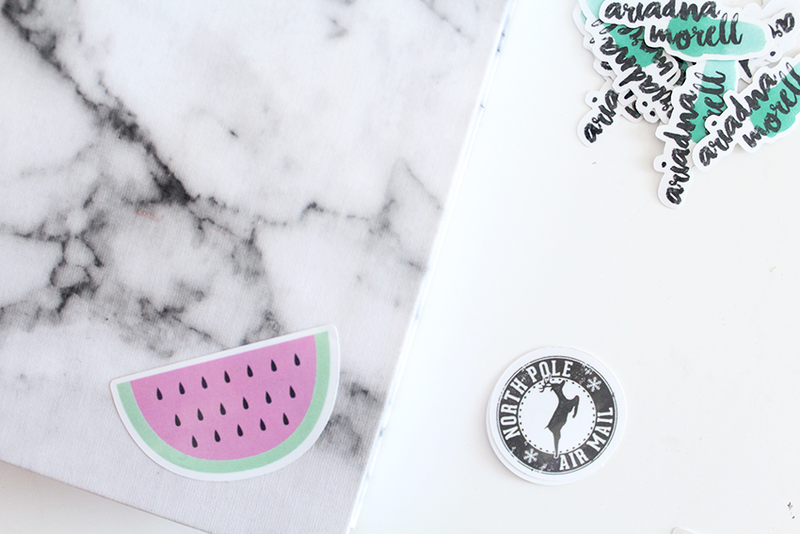 Watermelon also happens to be my all time favourite fruit (and it’s also very pretty) so I got some watermelon stickers too. Seeing these whenever I walk around my room or when i open my diary literally makes me so happy, and takes me back to long and hot days spent by the beach. Finally, I also got some festive stickers because I absolutely love Christmas (duh?). I am planning to use these to decorate presents and to seal envelopes for Christmas cards, it’s going to look SO COOL!